Former UFC champ and fame Conor McGregor is under an investigation for a sexual assault, as per the New York Times. The paper notes that an Irish woman in Ireland had accused him of sexual assault in December, which led to an arrest in January by the Irish Police. After being under custody and questioned before his release, the investigation on him is still going on. As pointed out by New York Times, till Tuesday he had not been charged by any crime. Conor McGregor Retired From MMA This Tuesday! Also Read: Terry Crews hints for White Chicks 2! It was announced by Conor McGregor on Tuesday that he will be retiring from MMA now. The alleged victim also claimed that the Whole sexual assault incident happened at Beacon Hotel which is at the edge of Dublin. As stated by the Times, the Irish media had been on this incident since months, but due to the national laws, they weren’t allowed to name Conor McGregor as he was yet to be convicted of any sort of crime. Ex-UFC fighter Conor McGregor has had a lot of run-ins with the law recently. The most recent of it all happened in March this year when he was arrested off Miami Beach for criminal mischief and robbery after he stole and broke a fan’s phone outside a night club. 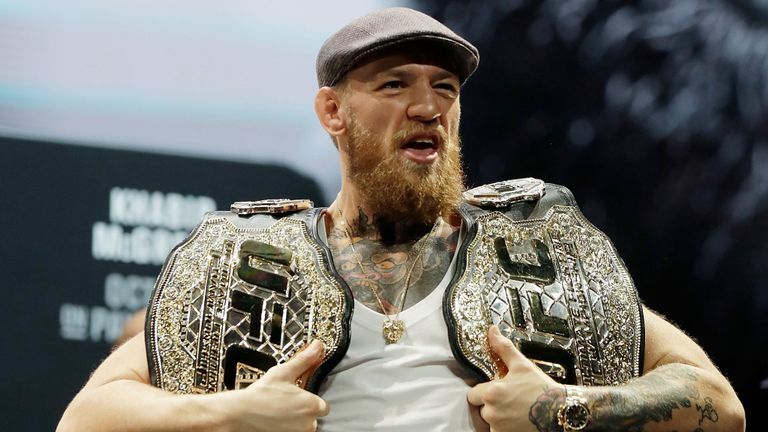 Conor McGregor had only fought in UFC once since he won the UFC Lightweight Championship in November 2016, which would make him a world champ in two weight classes. If we go by the released statement by UFC President Dana White, he wished McGregor all the luck for his future endeavours without stating anything on his legal trouble.